In 2017, the trucking industry experienced change in many ways. From enforcing regulations to new products being introduced, this has been a transforming year among all trucking companies. At Fleet Trailer, we want to be able to give you a recap of the highlights, lowlights and important events that occurred among our community. 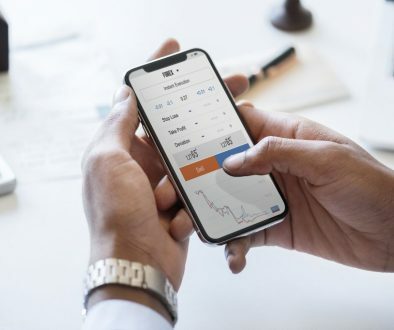 By the end of this article, you will have a clearer understanding of how well the trucking industry is doing statistically, what is currently happening that you should know about and what experts are thinking of what the future of trucking will look like. The National Private Truck Council assembled a 2017 Benchmark Survey that released on August 1st, 2017, and this article will be supplemented with information from the survey. To account for this shortage, the American Transportation Research Institute has advocated for the industry to adopt a graduated commercial driver’s license program through the state government as well as partner with the Department of Labor to assemble a national driver recruit program. This would allow for the trucking industry to also attract a younger audience, since the average age of truckers is 50.4 years in 2017. 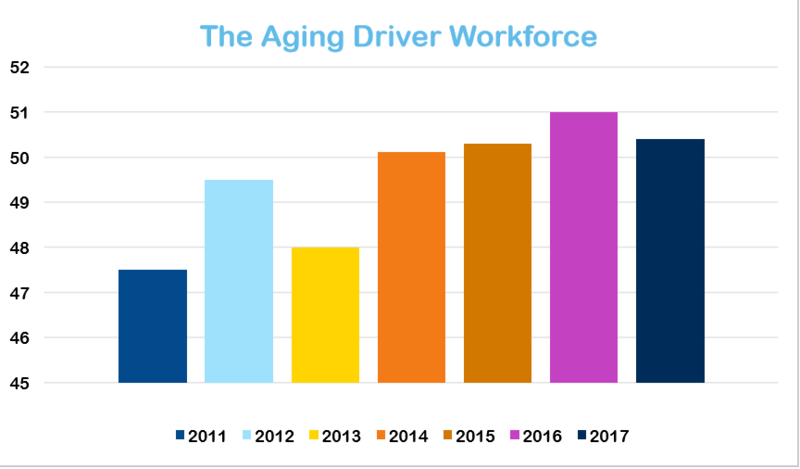 Companies are adopting different strategies to counter the aging trucking industry. Overall, it is a massive issue not just for trucking, but the country and economy as well. If manufacturing of products keeps increasing without truckers increasing, then there could be a stall in the economy and inflation of prices. 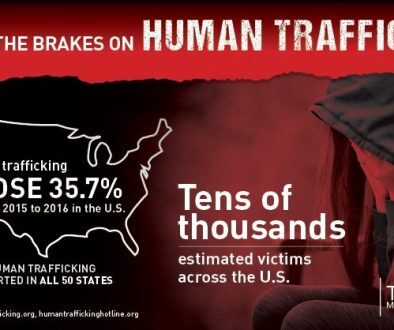 The trucking industry, as well as America, have a huge task set before them. The trucking industry is growing and expected to grow more in the near future in regard to demand. 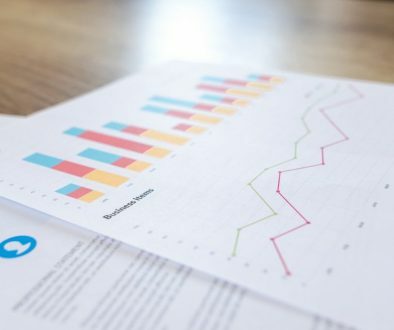 This past September, the Freight Transportation Services Index reached an all-time monthly high and was also the largest year-over-year rise from September 2016 since December 2010.This may seem like good news, which perhaps it is, but it is also a double-edged sword considering the shortage of drivers. The increase of demand has led to an increase in wages for truckers, which ultimately is great news for people wanting to enter the trucking industry. The American Trucking Association has claimed that “goods hauled by truck are expected to grow at a three percent rate per year over the next five years.” The ATA is expecting this growth for both truckload and LTL freight, with trucks maintaining their prominent position as the dominant carrier for freight. Not only is the demand for shipping freight increasing, but the demand for buying trailers is increasing as well. Medium and heavy-duty truck sales rose 3% from September to October of this year, and it has risen 12% since October 2016. The first ten months of 2017 has been 4% higher in medium and heavy-duty truck sales compared to the same period in 2016, however this is not due to sales in Class 8 trucks. Class 8 trucks have actually had a down year, decreasing 7% from last year. 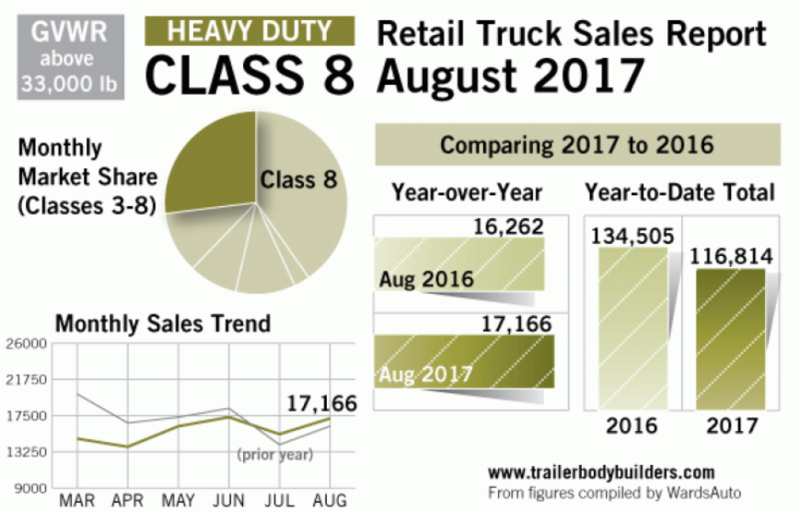 The increase in sales is due to “solid gains posted by Class 3 (+9%), 4 (+31%), and 5 (+9%) trucks so far in 2017.” It is apparent, however, that the industry as a whole is hitting its stride once again as an increase in demand appears to be almost certain. The ELD mandate, the law passed for the requirement of semi-trucks to have an ELD device installed, was right up there with the truck driver shortage regarding the biggest concerns in the trucking industry. Most truckers feel that their privacy is being impeded with this enforcement, and many truckers have openly expressed their disagreement with this new law. Some truckers organized groups and headed to Washington D.C. to voice their opinion, while some organized convoys on the interstate to slow down traffic to get their point across. Across social media, truckers who are not in favor of this decision tagged the end of their posts with #ELDorme. However, the fight to undo or even delay the ELD implementation did not end in the trucker’s favor. In fact, the Supreme Court derailed the OOIDA’s final push to revoke the ELD Mandate and ruled in favor of the FMCSA. 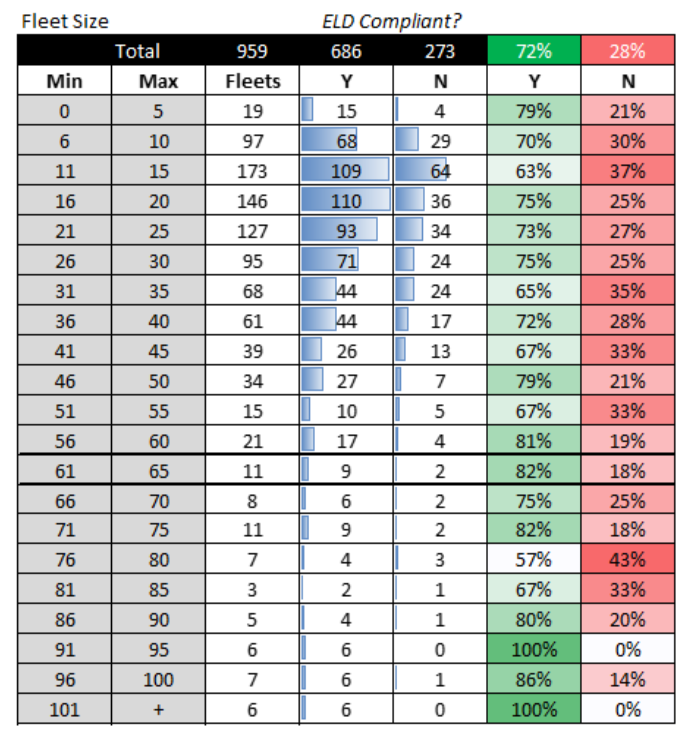 Although the mandate doesn’t officially kick in until December 18th, there is already smaller fleet companies adopting to the regulation, as seen in the chart below. 72% to about 79% of fleet companies surveyed in this chart are already in compliance with the ELD mandate. Another huge movement in the trucking industry this year was the massive push for electric trucks from big-time transportation companies. Daimler was the first to release their electric truck idea, when only about a few weeks later Tesla introduced the world to their prototype. The idea of an electric truck in the trucking industry is a foreign idea, and so many are skeptical of the claims that these big-name companies are making. What Tesla and Daimler are claiming is that electric trucks will be more long-term cost efficient, better for the environment and better for the trucker. There are potential improvements on safety, and could help with durability of the truck itself. Although these are all great claims, the idea is so new that the trucking industry is waiting to see if this will be the next “big thing” or a flop. Either way, it has dominated a portion of the year with the speculations and anticipation. Although we couldn’t cover every single important event, improvement in the trucking industry over the scape of the year, we hope we provided you with a glimpse of what trucking was like in 2017. Going into 2018, it appears that the industry is moving in the right direction but still has some reason to pause for different issues. However, we move into a new year with new goals and hope that we can all grow together!